Love a challenge? Get ready for an epic puzzle adventure. 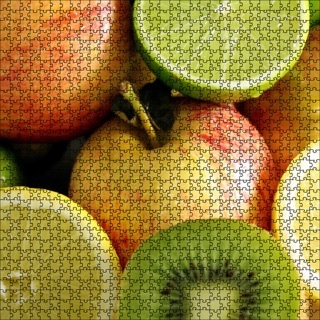 Use your skills to complete a wide variety of challenging jigsaw puzzles with unique artwork and custom graphics. From beginner to expert, everyone can enjoy Puzzlings! 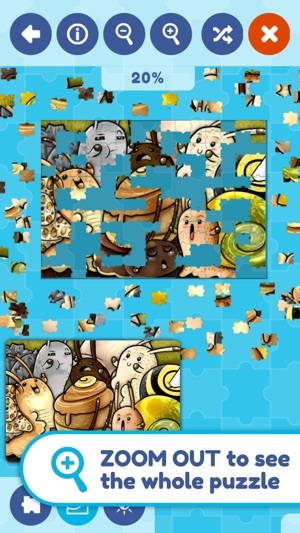 With puzzles ranging from 15 to 500+ pieces there's something for everyone. 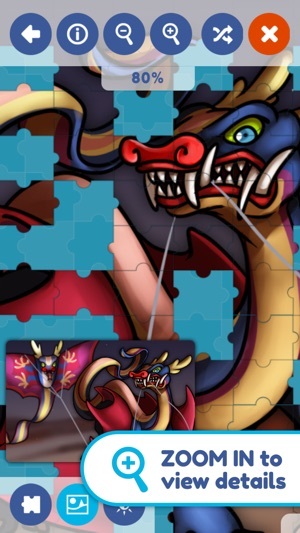 We use only the highest quality custom illustrations to create amazingly beautiful and detailed puzzles. 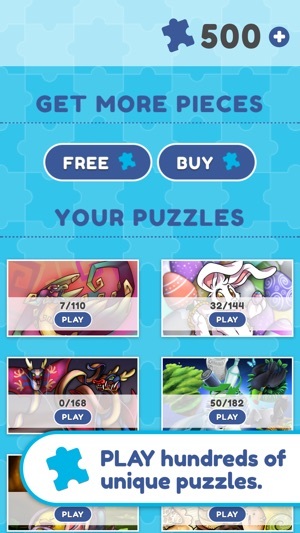 New puzzles are added regularly so there's always something new to do. 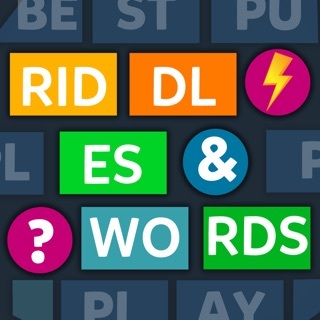 Complete the newest puzzles to earn varying levels of trophies. 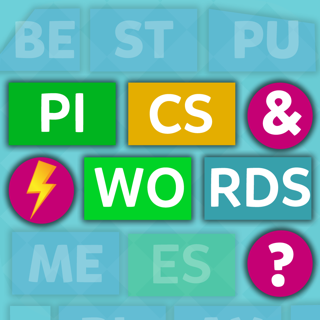 I am sorry to say it, but this is hands down the worst puzzle app I have ever used. I have been working on a 250 piece puzzle ALL DAY! Not because it is hard, but because pieces refuse to snap together, and when I am placing them, half the time they fly off to the other side of the puzzle board, along with multiple other pieces that I have already placed, and then I have to hunt them down and place them again. Or when I drop the piece, it is off by millimeters and doesn't connect, but no longer lets me move it either. Super frustrating! 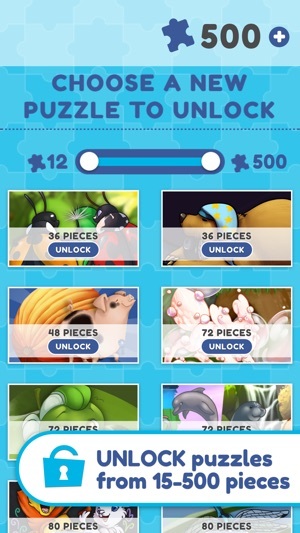 I am only grinding on because I need to complete the puzzle to open the associated Hatchlings series. 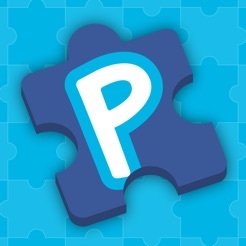 Devs, stick to Hatchlings, jigsaw puzzle apps are not your forte. Love/hate this ap. when it is working well it is great fun. 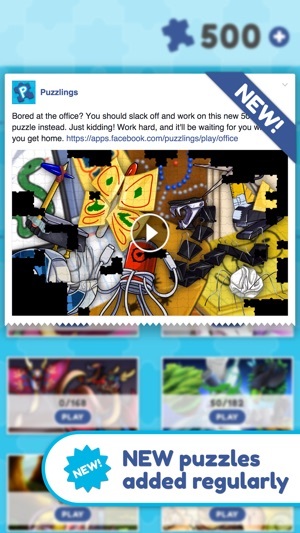 Unfortunately it goes crazy sometimes and will not allow me to place/move puzzle pieces. When that happens it is useless until an update occurs.